Kiss frontman Gene Simons touched off a heated debate this week when, in an interview with his son, Nick, for Esquire, he noted that “rock is finally dead.” He also advised that would-be musicians might be better served to opt for a more traditional career path. “Don’t quit your day job is a good piece of advice,” explained the 65-year old. Some commenters rushed to agree, but most music industry insiders and observers gave a collective head-shake. Because the truth is, people have been predicting the death of rock (and the music industry, generally) practically since its birth. Elvis was the end of music. The Beatles were the end of music. Hair metal was the end of music. And of course, digital downloading was definitely, definitely the end of music. But the idea that the democratization of music through digital downloading and sharing — with websites like SoundCloud allowing home-studio musicians to give their music away for free — signs the death warrant of rock is an inaccurate one, says Vans Warped Tour founder and entrepreneur Kevin Lyman. In a 2013 interview with Rock Forever Magazine, Kevin explained that not only is the music industry not dead — it’s only getting stronger, thanks to the strong community ties fostered there. Pulling together and being helpful to others in the industry is a message that Kevin has pushed a lot; through frequent speaking engagements and classes, he’s helped countless young musicians find success in a business that’s always changing. Speaking to CreativeLive instructor Steve Rennie, Kevin explained that the biggest thing that starting Warped Tour, which celebrates its 20th anniversary this year and has not only helped bands get their start, but also do quite a bit of charity work, taught him was about relationships. Final @VansWarpedTour @FeedOurChildren good collection 416,000 lbs of food equals 346,666 meals, so proud of our community. “Back then…you couldn’t just Google on your computer,” said Kevin, noting that even the name of the tour came from a partnership. “I had a relationship with Transworld publications, who had a magazine called Warp Magazine. I was able to call Fran up and ask ‘Can I borrow the name of your magazine? You’re kind of doing what I want to take on the road. '” And sure enough, they let him. Kevin’s advice to young musicians centers around that idea of collaboration; he advises up-and-comers to trade shows, to talk each other up, and to always be aware of what other bands are doing. Rock isn’t dead — it’s not even dying. But it is changing, and working together, forming strong relationships, and being professional will get you a long way. 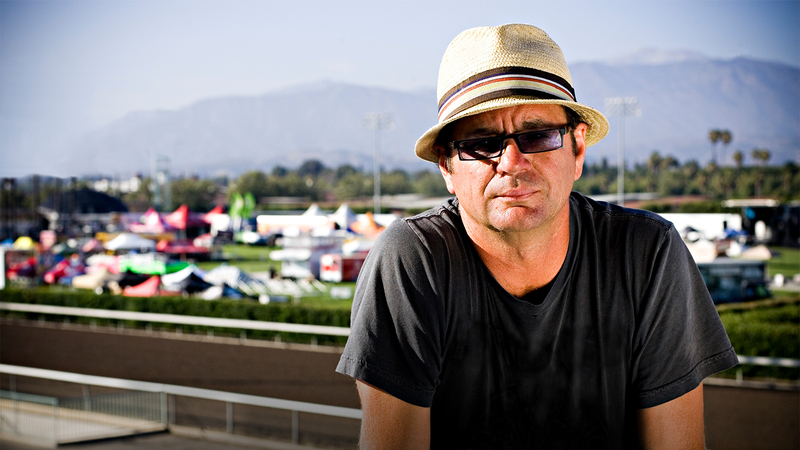 For even more about how to grow your music career in a changing industry, be sure to check out Kevin Lyman’s CreativeLive class, The New Music Biz: Bands, Brands, Managers, & Tours.